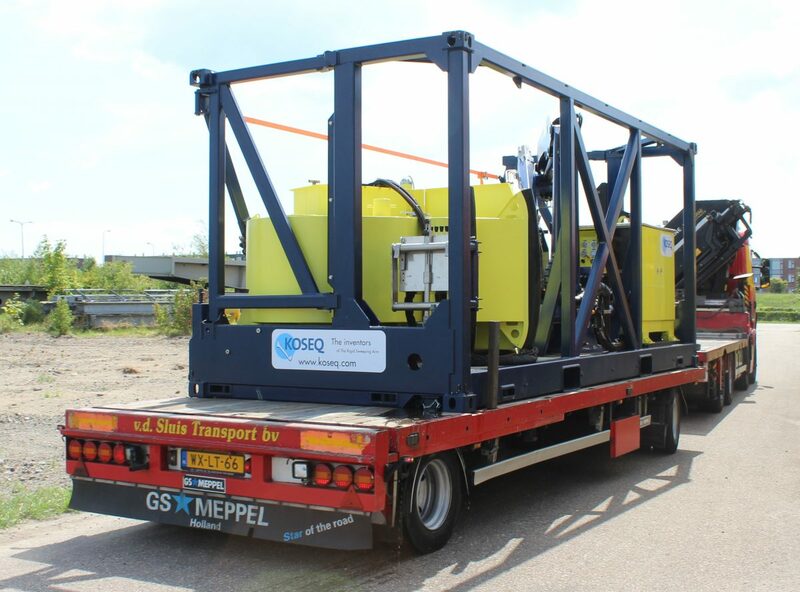 Suitable for harbours, inland and near-shore waters. Independent all-in-one ISO container sized solution. 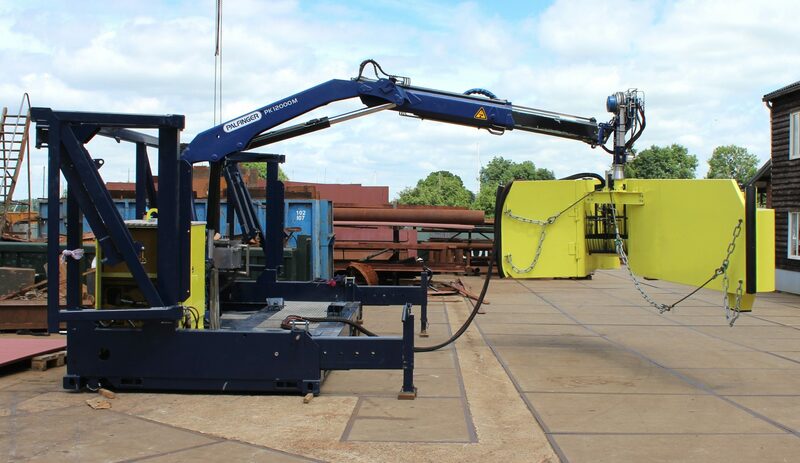 Features powerpack, crane and Compact 5 sweeping arm. Easy to handle, install and use. Equipped with proven Koseq sweeping arm technology. 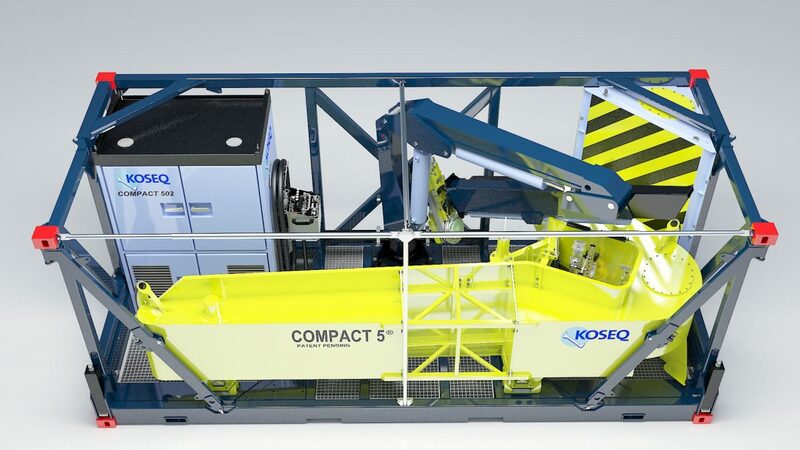 The Compact 502 is an easy to use all-in-one oil spill recovery solution, built around a Koseq sweeping arm. 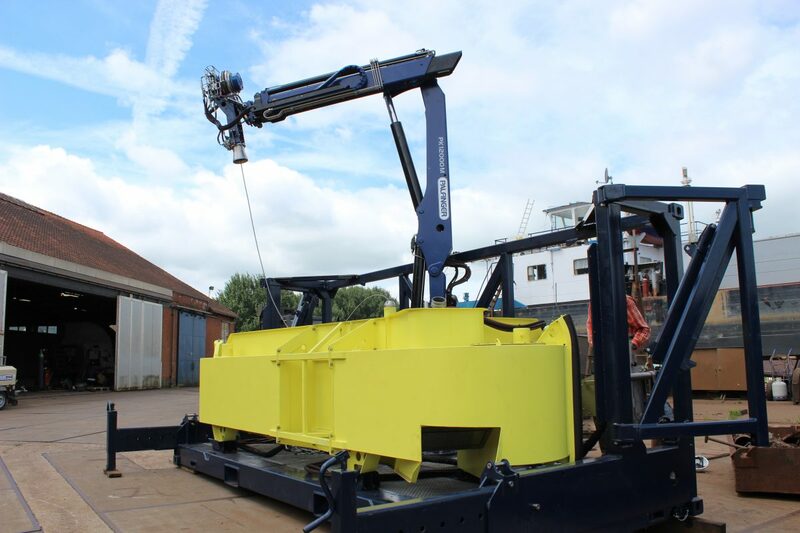 The system carries in a steel container-frame a Compact 5 sweeping arm, a dedicated crane, a diesel driven hydraulic power pack and an operator console. 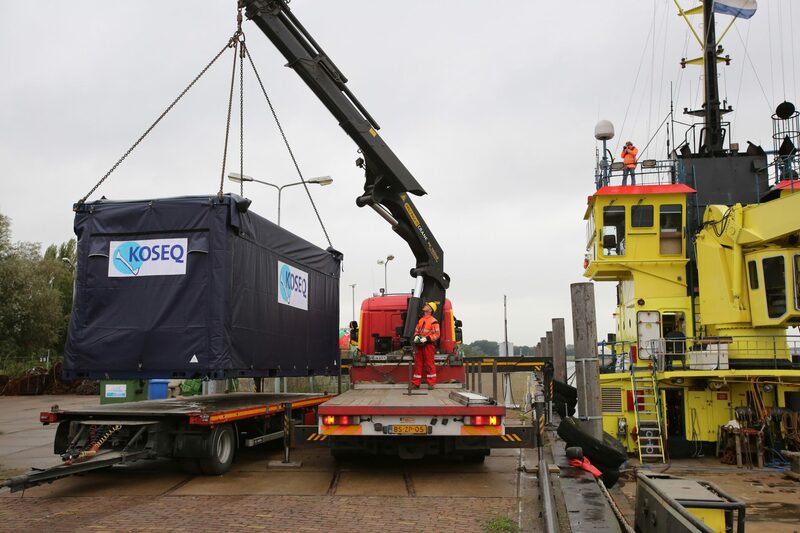 The compactness of the system enables the oil responder to truck the complete oil spill recovery system to the Vessel Of Opportunity (VOO) to start operations immediately without having to connect the unit to the vessels powersystems. Only a tank is needed to store the recovered oil in the ship. The container frame has dimensions of a 20 ft. ISO container with corresponding corner fittings on all 8 corners. It has two fork-lift pockets and two out-trigger legs for extra stability during operation. The frame has an open structure to give easy access to the equipment and the front and side can fold away to give the sweeping arm way while hoisting. The frame features various pockets to secure it to deck and an integrated driptray with anti-slip grating to walk over it safely. Optionally a tarpaulin is available. 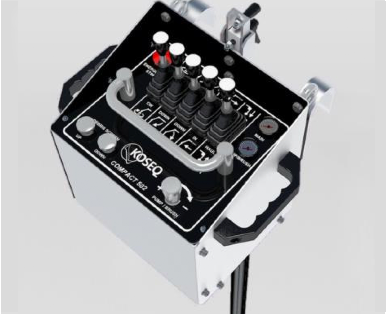 The Compact 502 is built around the Koseq Compact 5 sweeping arm. See Compact sweeping arm product description for more information. 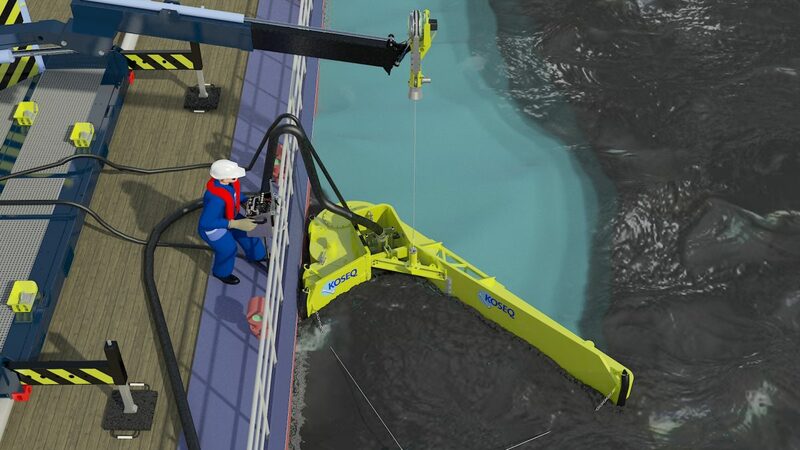 The sweeping arm is based on the proven offshore rigid sweeping arm. 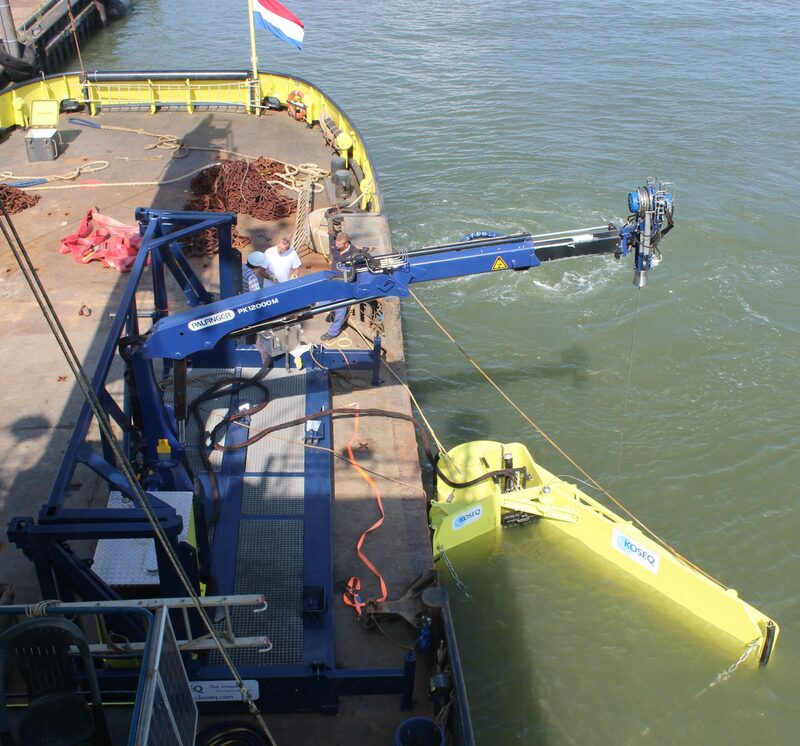 Optionally the system can be executed with a brush skimmer that can also be deployed without the rigid sweeping arm. 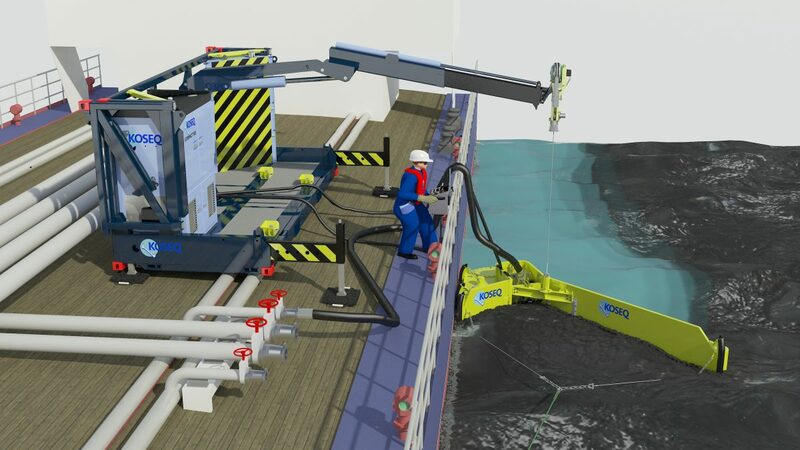 The crane possesses a special winch with integrated catcher system which secures a safe handling during deploying and retrieving of the sweeping arm by stabilizing any unnecesarry motions of the sweeping arm. 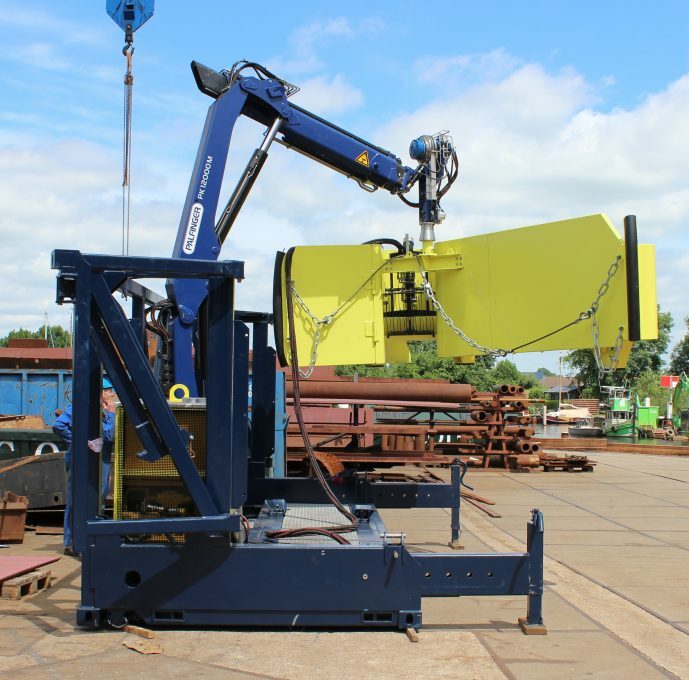 Other features of the crane is safety system to avoid overload of the crane and container during hoisting in high waves. 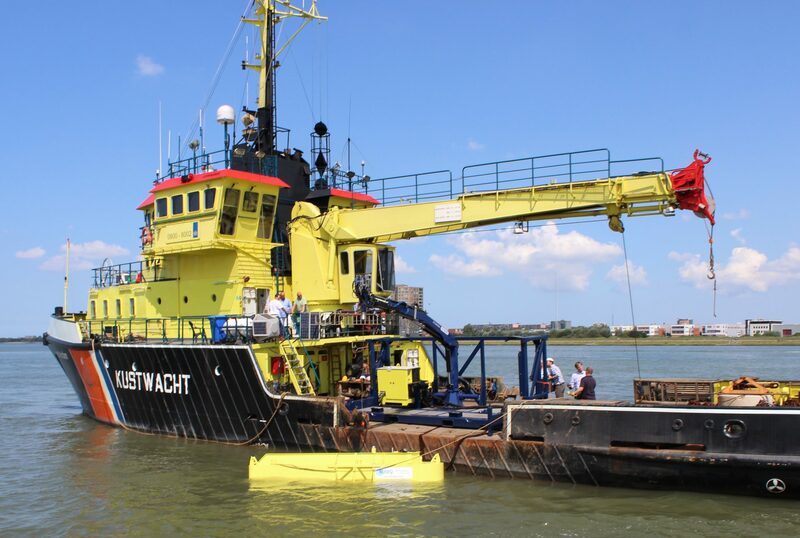 The crane features a cable-tensioning system which makes it possible to give slack to the hoisting cable and thus make it possible for the sweeping arm to move freely over the waves. 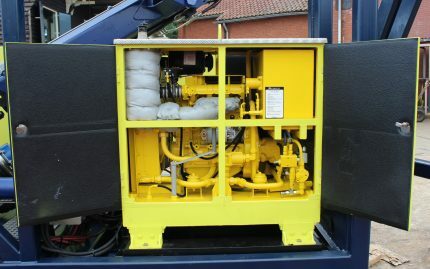 The complete system is powered by a diesel-hydraulic power pack. It is completely executed mechanical/hydraulic without any vulnerable electrical components. 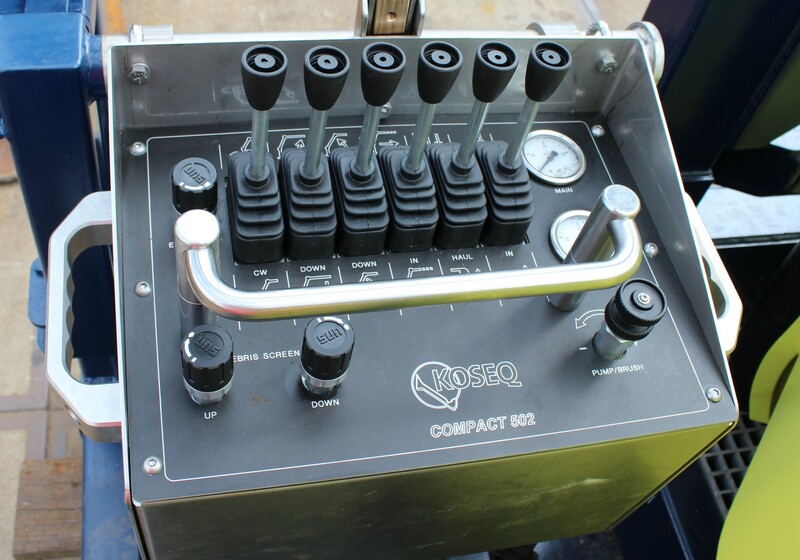 The system is operated through a hydraulic remote control. 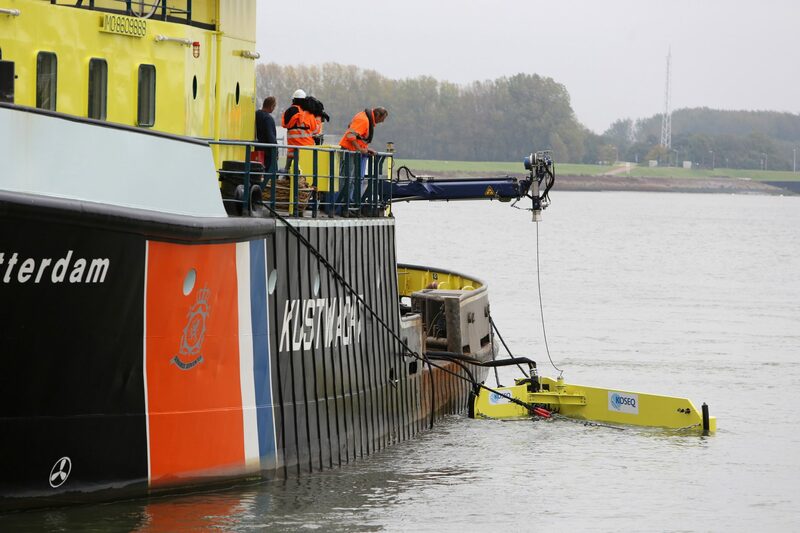 This remote control gives the operator freedom of moving to a safe place while hoisting and more closer to the sweeping arm during the recovery operation. This the crane, pump, heigh adjusted weir bar and debris screen are easily remotely and safely controlled by only one operator. Dimensions: 20 ft ISO (6m long x 2,5m wide x 2,5m high). Preservation: Four layer offshore coating. 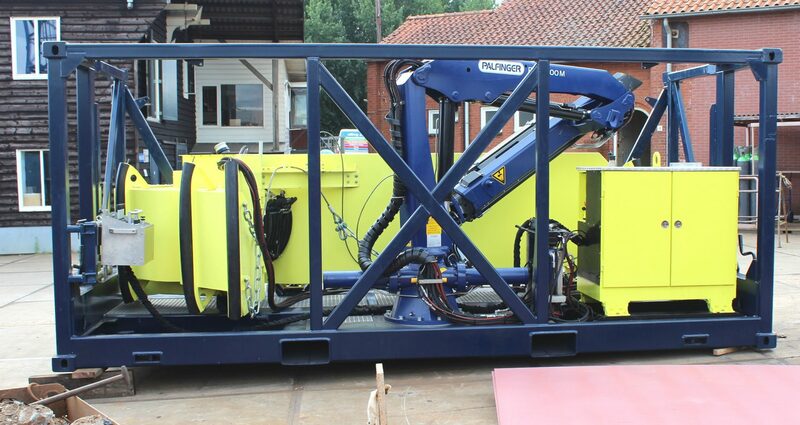 Additional: Stability outriggers jacks, fork lift pockets, storage box. Sweeping Arm Type: Koseq Compact 5. Sweeping Arm Length: 5,3 meter. Sweeping Arm Weight: 1300 kg. Sweeping Speed: Max 2 knots, depending on circumstances. Towing Speed: Max 4 knots. WMO Sea State: Max 4. Wind Speed: Max 6 Beaufort. Skimmer Pump: Submersible screw centrifugal impeller pump. Skimmer Type: Weir, brush or disc skimmer. Engine Type: 4 Cylinder Diesel Engine. Power: 36,5 kW at 2150 rpm. System weight: Approx 500 kg. Crane outreach out of container: 4,0 meter. Winch hoist height: 15 meter. Crane features: Movement stabilizer, cable tensioning system. .Contact us for more information.